Local German media is reporting that there was a minor fire where the Norwegian Escape is being constructed. According to a local site the fire broke out on Tuesday evening at the Meyer Werft shipyard in Papenburg, Germany. Norwegian Cruise Line’s new class ship, Norwegian Escape is currently being constructed in the large hall complex where the fire was. The shipyard has stated that there were no injuries and only minor damage. The cause is not yet known. The shipyards fire personnel put out the fire before the local fire and ambulance departments arrived. The fire was out by around 7:30 PM and the construction halls main doors were opened to ventilate the bad fumes. 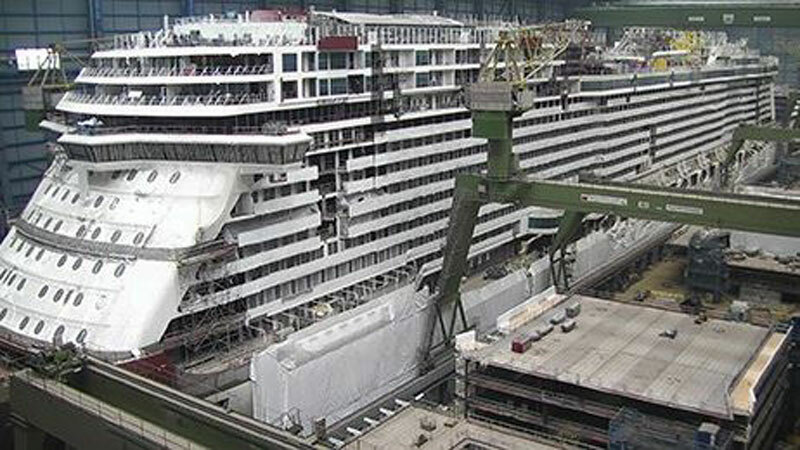 A Meyer Werft spokesperson told the local site that the construction timetable of the Norwegian Escape won’t be delayed. The 164,600 gross ton Norwegian Escape will be NCL’s largest ever vessel and is scheduled to be delivered to the cruise line this October.